Perth is a huge city with several district articles containing sightseeing, restaurant, nightlife and accommodation listings — have a look at each of them. Perth sprawls along a flat coastal plain, centred along the Swan River and bounded by the Darling Scarp to the east and the Indian Ocean coastline in the west. Perth has a population of around 1.6 million (2009), making it the fourth largest city in Australia. 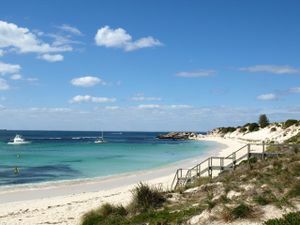 The many uncrowded beaches along the Perth coastline define the lifestyle: Perth is laid-back, quiet and safe. While the CBD straddles the Swan River, most of Perth's residents live in suburbs along the coast. British settlers established a free settler colony in 1829 as part of the Swan River Colony. 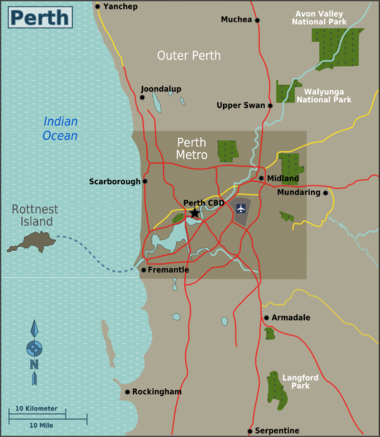 The settlement was given the name "Perth" after the city of Perth, Scotland, the hometown of Sir George Murray, the British Colonial Secretary at that time. From 1850, an influx of convicts boosted the size of the colony and their labour helped shape the early architecture of the city. The discovery of gold in the 1890s triggered a boom which, with subsequent mineral discoveries, has been key to the city's economy. As capital of the state Western Australia, Perth joined the Commonwealth of Australia in 1901. Once a small, isolated city, the mining boom in Western Australia following the end of World War 2 has led to a high rate of migration to Perth, which allowed its population to overtake that of Adelaide in the 1980's. While the actual mining takes places in distant, more remote parts of the state, much of the mining-related services sector is based in Perth. Today, Perth remains Australia's fastest growing city, and in recent years has transformed from a relatively laid back city to a fairly vibrant one. Due to the fact that Perth's population growth was relatively recent, it lacks the dense Victorian core of the eastern cities, but makes up for it with its own charm, particularly seen in the numerous parks and other green spaces within close proximity of the CBD. Despite its isolation and relatively small population, Perth is a surprisingly culturally diverse city. Due to the high rate of migration to Perth, slightly less than half of Perth's residents were born outside Australia. Its proximity to Southeast Asia and Africa has led to an influx of migrants from countries such as Malaysia, South Africa and Thailand, and this is reflected in the diversity of cuisine available in Perth. If you wish to experience a cosmopolitan culture without the hustle and bustle of larger cities then Perth is worth visiting. In the Perth metropolitan area the summertime temperature rises rapidly during the morning, sometimes relieved in the afternoon when the "Fremantle Doctor" blows inland from the ocean to cool the city centre by up to 10°C. The doctor often runs out of puff before reaching suburbs further inland, leaving the foothills and beyond to swelter till after sunset. Winter (Jun-Aug) temperatures are usually around 19°C. Minimum temperatures occasionally drop to near 0°C on clear nights. Though Perth goes through lengthy dry spells in Winter, when it does rain, it pours. Storms with strong winds occasionally hammer a Winter's night, but they generally cause no more destruction than a toppled tree or flattened fence. Spring (Sep-Nov) and Autumn (Mar-May) are ideal times in which to visit Perth. Spring (particularly October / November periods) is perhaps the very best to see the sights as after a decent winter's rainfall, the famous wildflowers around Kings Park and the Avon Valley bloom splendidly. The metropolitan areas as well as the bushlands have many flowering species which often flower en-masse, so it is wise to purchase over-the-counter hayfever or antihistamines from a local chemist before making a trip to see them with minimal discomfort. Beach-goers from colder climes might find the summer months too harsh, usually reaching about 35°C and sometimes up to 45°C during the midday, so it is perhaps best to visit during March-April or October-November as well as taking a hat, sun-screen lotion and sunglasses. The local inhabitants tend to holiday during the height of summer or winter, either to escape the climate, or to celebrate it. In winter Perth inhabitants often travel north to Broome or Bali for the warmth, or oppositely staying in small chalets in the southern country during the winter to enjoy the cool wet climate and seasonal foods. Although Western Australia has many public holidays they are unlikely to cause much inconvenience to your travels. Shops are still open, public transport still runs and the sky is still blue. The exception may be New Years' Day (Jan 1), Australia Day (26 Jan), Good Friday (18 Apr), Easter Monday (21 Apr), Labour Day (first Monday of March), Queen's Birthday (27 Sep) and Foundation Day (first Monday in June) and Christmas Day (25 Dec). Most larger shops and shopping centres, pubs and restaurants are closed on these days but smaller convenience stores and some fast food chains keep their doors open. That said however, more and more stores are beginning to open on public holidays. Sunday trading came into existence in late 2012 and most shops have quickly adapted to opening on Sundays. All scheduled international and domestic flights arrive and depart from Perth Airport (IATA: PER). Though all international and domestic services operate under the same Perth Airport banner, there are 4 terminals, with two located either side of the runway, or about 9km (15 minutes) by road. The airport is working towards full consolidation on the eastern side of the runway by the mid-late 2020s, however in the meantime passengers may need to transfer to the other precinct if connecting between Qantas or Jetstar flights and other airlines. T1 is also one building, with all non-Qantas international flights (including Jetstar's international flights) and all Virgin Australia domestic flights (except some regional flights, which depart from T2). T2 is located next to T1 and hosts budget carriers and some regional flights. T1 - International flights: Air Mauritius, Air New Zealand, AirAsia, Cathay Pacific, China Southern, Emirates, Etihad (Until late 2018), Malindo, Air Asia, Air Asia X, Garuda Indonesia, Jetstar, Malaysia Airlines, Qatar Airways, Scoot, Singapore Airlines, South African Airlines, Thai Airways and Virgin Australia. The city and major hotels can be easily accessed by taxi or commercial shuttle buses from all terminals. Courtesy phones are located inside the terminals (for the domestic terminal, the courtesy phone is surrounded by a large board advertising accommodation past the baggage conveyor belt as you leave the arrivals area). For more than two people it is often cheaper and faster to take a taxi into the city (waiting time and drop off other passengers can make a shuttle bus service to the city very long). A taxi by meter to the city will cost approximately $40 from the international airport; the shuttle costs about $15 per person. It departs from T3 and T4. Starting 1 November 2015, Transperth runs a limited stops express bus service number 380 servicing T1 and T2 (click here for the announcement). The number piggybacks on the Airbus A380 airliner in an attempt to make it easy to remember. The frequency is once every 30-60 minutes between 4.25am to 11.25pm from the City (Elizabeth Quay bus stop) and 5.20am to 1.20am from the Airport (each starting 1 hour later on weekends). The service uses accessible buses with dedicated luggage racks. Tickets are at standard public transport prices ($4.50 adults, $1.80 concession, cheaper using a Smartrider). Located next to the international terminal (T1) the newly opened T2 has a cafe and convenience store located adjacent to the forecourt and check-in hall. Past security there is a pub, cafe, Subway outlet and newsagent/convenience store. See T1 for public transport details. Transperth buses serve T3 and T4. Two bus routes, 37 and 40, service the airport. The 40 is much faster than the 37, but the routes are coordinated to maximise frequency (e.g. 37 at :00, 40 at :15, 37 at :30, 40 at :45), so don't leave a 37 to wait for the 40, except in peak periods. Finally, a warning that only some 37s go to the airport: many terminate earlier. Check the display on the front of the bus to ensure you are on a full length service. The service cost $4.20 per adult, and cheaper for children. The bus drivers take cash and give change. Alternatively, use the shuttle bus, although this is much less frequent and more expensive, it is more direct. There are a couple of coffee shops and food outlets both before and after security, as well as basic shopping, books and souvenirs. If you have some time to kill in transfers, there are some cafes open during business hours in the surrounding industrial park. Walk straight across the car park, or turn right and walk past the long term car park to the Flight Path Cafe in the Civil Aviation Authority building. A free transfer bus operates between T1/T2 and T3/T4 operates 24 hours a day, seven days a week. Between 0600 and 2400 buses depart every 20 minutes and the journey takes approximately 10 minutes. From 2400 to 0600 buses depart every 30 minutes. Once the only way to way to get into Perth, a limited number of passenger ships now dock at Fremantle. A number of round the world cruise ships including the Queen Mary 2 and Queen Victoria call into the Fremantle Passenger Terminal  on their own schedule. Sailing into Perth from the Indian Ocean is expensive. The Indian Pacific  trans-continental railway runs from Perth to Sydney via Kalgoorlie, Adelaide and Broken Hill. It is generally not cheap, but this journey, which takes four days and three nights, is one of the world's great train journeys. The train traverses the longest stretch of straight track of any railway in the world (478km) as it journeys across The Nullarbor. The Indian Pacific leaves from and arrives at the East Perth terminal, which connects with Perth's suburban rail network as well as the regional bus depot. The city centre is just a 5 min train ride away from the terminal. If you are carrying baggage, it is probably best to jump into a taxi as many of the city's hotels and hostels are located up to a few kilometres away from either of the stations. Taking your car with you is also possible between Adelaide and Alice Springs, for an additional fee. Regular train services (one or two per day, depending upon whether you are travelling during the week or on Saturday/Sunday) are available to and from the regional cites of Kalgoorlie (departing from East Perth) and Bunbury (departing from the Perth station). The Australind  train departs Perth Train Station at 9:30AM and 5:55PM daily for Bunbury in the south west with various coach connections, and The Prospector  departs from the Public Transport Centre (East Perth) at various time to the inland city of Kalgoorlie. Greyhound Australia  offers a daily coach service the length of the state from Darwin via Broome. At over 2 1/2 days this is not a trip to be taken lightly. Driving a car from Perth and Adelaide is also an option and the road and accommodation infrastructure makes it achievable without too much stress. However, be warned that it is still a 2,700 km drive and is considered a 'once in a lifetime' activity for locals. The main operator of regional bus services in south west Western Australia is the government run Transwa . Coaches also depart from the Public Transport Centre to various locations around the state. Coach services are available from Transwa or South West Coach Lines (enquire at their office in Elizabeth Quay Bus Station). 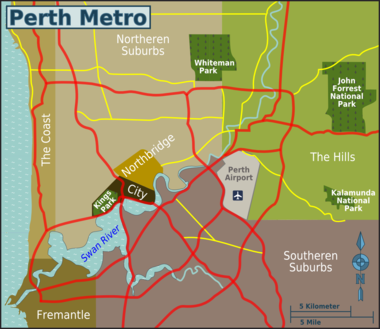 The Perth metropolitan area has a fairly reliable and inexpensive public transport system operated by Transperth . Information about timetables, fares, disruptions or service alterations can be found on their website, by calling 13 62 13 or at 'Transperth InfoCentres' located in at the Perth train station and a couple of branches in the City. The frequency of public transport decreases remarkably on weekends, and on weekdays in the evenings after 7 or 8pm. Always plan your journey before you travel. Travelling to the tourist attractions within Perth, Fremantle, Cottesloe, Scarborough is easy by public transport, but outside of that a car is significantly better. Transperth also operates a free CAT bus service in Perth CBD, Fremantle and Joondalup. The large air-conditioned buses of different colours with the distinctive cat logo run about every 10 min on various routes around major facilities and attractions. They are a great way of getting from one place to another. The buses are free leaving and entering the city within the Free Transit Zone - it runs from Newcastle Street down and from the end of Kings Park when going towards Subiaco. This does not require a SmartRider, just get on. Perth's suburban railway network is great for quickly getting to outlying suburban areas, and extends down south to Mandurah. All services stop at the Perth station in the City on their way to or from the outlying terminating stations. The Mandurah line travels through the Elizabeth Quay station adjacent to the bus station and the south of the city. The Transperth system is divided into 9 concentric zones, as well as the Free Transit Zone (city centre and surrounds). The Free Transit Zone on the trains is only available to SmartRider (transport card) holders, passengers without a card have to buy a ticket. Tickets and passes are valid on all buses and trains within a zone. Tickets are valid for two hours and can be used on your return trip. Zone 2 extends as far as Fremantle and for most visitors a two zone ticket will suffice. Single trip, cash tickets can be purchased from bus drivers or coin-operated ticket machines located at train stations. The more convenient SmartRider cards automatically calculate your fare and deduct it from your card when you tag on and off upon boarding and alighting bus and train services. SmartRiders can be bought or recharged at Transperth InfoCentres, major train and bus stations and/or from most Newsagents. Bus drivers can also charge your SmartRider for you, however they will not provide change. SmartRider cards carry a 10% discount over cash fares. There are $12.60 DayRider tickets available after 9am during the week and anytime on weekends. FamilyRider tickets also cost $12.60 and allow two standard fare passengers plus up to five concession passengers unlimited travel - these are only available after 6pm Monday to Thursday, after 3pm on Fridays, and from 9am on weekends and school or public holidays. This is an excellent value for couples and couples with children, as a standard one-way fare alone runs from $2.80 for one zone, $4.20 for two zones, and $5.10 for three zones. With the advent of the new SmartRider system, those passengers not holding SmartRider cards will need to present their paper ticket to the transit guard upon entering and leaving Perth and Elizabeth Quay Stations and selected suburban stations. Two major taxi companies are Swan Taxis (13 13 30), who dispatch Swan, TriColor, 13CABS, Yellow and Coastal taxis, and Black and White Taxis (131 008). Apart from these two companies, there is another company called Maxi Taxi Perth (0406 553 313) who is providing excellent service to people of Perth. They are specialized in Maxi Taxis, airport transfers and they also have wheelchair taxis too. Which means a van with a hoist wheel chair ramp can pick up any disable people especially even if they are on electric wheel-chair. They strongly suggest that you should book online. There are numerous smaller companies that operate mainly out of the Central Business District. Fares are regulated by the state government and all dispatch companies charge the same rate. Flagfall is $3.90 during weekdays, increasing to $5.70 on weeknights and weekends. The kilometre rate is $1.59/km charged in $0.10 increments. Surcharges apply on designated holiday periods (New Years Eve and Christmas Day) and on weekend nights between midnight and 5AM. Tipping taxi drivers in Perth is not customary, but adding a small gratuity ($1 or $2) on top of the fare is common for exceptional service. Catching a taxi from an entertainment precinct late on a Friday or Saturday night sees clubbers waiting at taxi stands up to 2 hours for a ride home. Drivers are known to avoid picking up drunken patrons from outside of pubs, clubs or from the entrance to Perth station. There have been a recent spate of sexual assaults on female passengers so it is advisable to travel in groups. There are specially designated 'secure ranks' operating at these times where patrons can queue in (relative) safety. Another option is the late night Transperth trains and buses run specially for revellers after their night out. Services at Perth Airport are reliable and taxis arrive continually 24hrs a day. A typical taxi ride from the Domestic Airport to the City is around $30 ($35 from the International). There is a $2 airport tax payable on top of the fare. Taxi service Uber is gaining popularity in Perth and offers a cheaper (up to 50%) and generally more reliable taxi service than the major taxi companies, but are limited in their locations. Users can sign up online using a mobile app and book a taxi from within the Perth CBD area to various locations, including the airport (~$22). Local Bicycle Routes (a series of on-road routes as well as some suburban off-road sections that run through parks - these paths provide a connection to such destinations such as schools, shopping centres and other recreational facilities. End of trip facilities (including; U-Rails, Cora bike racks and bike lockers and change-rooms). A favourite amongst seasoned local cyclists is the ride along the North side of the Swan River between the City and Nedlands. Allow 60 min for a round trip along this route, as you might encounter a strong headwind. Bicycles are allowed on board Transperth trains but not during peak hour, unless they are the type of bicycle that can be folded up. Renting a car is the ideal means of transportation for traveling to outlying attractions. Perth's major freeways and highways are free from any tolls, as is not the case in Sydney and Melbourne and from either of these major arterial roads, it is possible to be surrounded by beautiful countryside within minutes. Rent-a-car providers such as Classic Car Hire Perth, Europcar, Redspot, Avis, Hertz are located at the airport and there are quite a few scattered around the city and the suburbs. For a special 4x4 and off the road traveling car rental in Perth WAExperts . Also if you want to make a limousine wine tours, classic car hire, hummer tour in Perth city Limo hire Perth High Roller Limo's So Cal Limos, Perth Hummer Limo,etc would be your best choice. The general speed limit within built-up areas is 50 km/h unless otherwise stated. Note that traffic in Perth (as elsewhere in Australia) travels in the left-hand lane. It is advisable to travel on the left hand lane even in dual carriageways for tourist drivers. This might take a bit of getting used to if you drive on the right-hand side back home. Even for right-hand drivers some things are different here like the ability to overtake on the inside of a vehicle on a freeway. Note that Police are rarely seen out on the roads but manned mobile speed cameras operated by public servants are very prevalent. Driving even 5km/hr above the placarded speed can incur a fine. Driving 40km/hr above the placarded speed means the car is impounded for 28 days even if it not your car (hire cars excepted). To see semi-wild kangaroos visit the Pinnaroo Valley Memorial Park (a cemetery, but not European style)  - it's a walking distance from Whitfords Transperth Train/Metro Station - just cross the highway, the highway exit and look for the entrance on the left. As there is plenty of space for them you may see them not only eating but also hopping. Many local golf clubs, Karrinyup Golf Club, Joondalup Golf Club will have Kangaroos dotted along the fairways, and it is very likely to spot them during a game of golf. Australian Rules Football – Perth, like Melbourne, is mad for its footy. Every weekend between (roughly) March and August, the new Perth Arena fills to near-capacity with supporters from either local teams; the West Coast Eagles or Fremantle Dockers. When both local teams play each other it is known as the Western Derby (or derby) and tickets to these games are usually difficult to come by due to their popularity. From 2018 all AFL, and major cricket matches will be played at the new Perth Stadium located in Burswood. This stadium will be capable of holding 60,000 people. A-League Soccer – If you prefer association football (generally known by Australians as "soccer"), Perth Glory Football Club compete in the A-League, Australia's top level of football. The season runs over summer from October to March, with the possibility of qualification to the finals series (playoffs) running into April. They have a sister club, Perth Glory W-League, that competes in the women's W-League. Both teams play at Perth Oval, also known as NIB Stadium due to a sponsorship deal. The stadium is a 10 min walk from Northbridge, or a 3 min walk from Claisebrook Train Station. Cricket – Home ground is the WACA. The WACA also hosts one of the summer Test matches against England in January. Sheffield Shield – Australia's domestic first-class cricket competition, the Western Warriors represent WA. Twenty20 Big Bash – Local team is the Perth Scorchers as of 2011. Rugby Union – Western Force play at NIB Stadium. Rugby union team in the Super 15 involving teams from Australia, New Zealand, and South Africa. Season runs from February to late May. National Basketball League – Perth Wildcats play at Perth Arena. Australian Baseball League – Perth Heat play at Barbagallo Ballpark. There are a lot of options if you have access to a car - from the city just head to the coast, then head north or south for some exploring. Perth is well known for its indie music scene at established venues such as Amplifier Bar, Rosemount, Fly By Night, The Rocket Room and Mojos. Visit YourGigs  for upcoming gigs or Perth Indie Bands  for a selection of good Perth bands. Previously thought by some to be lacklustre, shopping options in Perth have improved dramatically in recent years, with major international luxury brands such as Burberry, Gucci and Louis Vuitton now having branches in Perth, along with many local Western Australian boutiques. As a general rule, the luxury brands are located around the junction King's Street and Hay Street in the city centre, while mid-range options are generally to be found at the pedestrian-only Hay Street and Murray Street malls. Large shopping complexes located in the outer suburbs, such as in Morley, Carousel, Cannington, Midland, Joondalup, Booragoon (Garden City), Innaloo and Karrinyup have the usual department and chain stores. Fremantle Markets offers an experience on its own with its over 150 independent stalls, but is only open on Friday, Saturday and Sunday. One of Perth's drawbacks is that its people have not embraced late night dining. Very few places will serve food after 10PM, even on Friday or Saturday nights. While most restaurants in Perth do cater for vegetarians (and more rarely vegans), the selection is often decidedly limited. If you are looking for a place that embraces vegetarian food, Fremantle is probably a better option. Fremantle is a good eating option. Famous for its cappuccino strip lined with cafes next door to one another popular with the yuppie crowd. On weekends, a local tradition is to visit the Fisherman's Wharf on warm, sunny weekend evenings for fish and chips. There are a couple of options to choose from close to the beach. Just follow your nose or the seagulls. Further exploring in Fremantle, or "Freo" as it is locally known, can reveal lots of trendy, alternative restaurants that cater for the "careful" eaters. 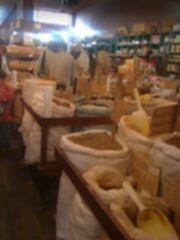 If you care about knowing what it is you are eating, (vegan, preservative free, fair trade, organic), try exploring the Freo markets area, or just ask around, they are often not in the "touristy areas". Little Creatures is a decent brewery. If you are looking for a decent fish and chip or seafood dinner, it is typically far more expensive by the coast (where the tourists are), excellent seafood at a better price can be sourced in the central and eastern suburbs. Subiaco is located just a couple of kilometres from the city center. It is a trendy but fun suburb which features some great food and entertainment, although it can be quite expensive. Claremont is a suburb on the Fremantle railway line where you will find some good restaurants as well (including authentic Italian), although, again, it can quite expensive and there is a limited range. Truffles are grown around Mundaring and Manjimup. The ubiquitous fast food chains serve the usual oily stuff. If you're interested in a gourmet road trip, nearby Margaret River (about three hours drive away) is extremely popular for wine tasting, delicious chocolate and fresh, locally made food and produce. The Spring in the Valley Food & Wine Festival in the Swan Valley is increasingly popular, but at the cost of getting a place cheaply and it being overcrowded. Its best to visit the Swan Valley outside of the festival to get the best value, or during the festival if you like the crowds. Most of these places have websites that you can confirm times and dates and are open throughout the year. Perth has an a number substandard Gloria Jeans, Miss Mauds and Dome stores mainly in the city centre and suburban shopping areas. A larger number of of independent cafes serving high quality coffee (of various types and brews) line the trendy streets of suburbs around the city centre. One of the most well known place for a espresso is the Cafe Strip in Fremantle closely, however, a higher standard can generally be found in Perth, Mt Lawley, Leederville, South Perth and other inner-city suburbs. Although Perth culture has a high quality taste for coffee and demands very high standards in product, Perth has some of the more expensive coffee prices in the country with a normal sized coffee (e.g. latte) coming close to $4. Perth has bars scattered throughout the city but most bars are in the CBD, Northbridge, Subiaco, Leederville, Victoria Park, Mount Lawley & Fremantle areas. Bars usually become busy after 5pm with the afterwork crowd, but most locals tend to go to bars on Friday & Saturday nights. The CBD bars in particular get very busy on Friday nights with many of the popular bars forming long entry lines. Most bars open from around 11AM and close midnight, although most bars in Northbridge and around the city centre stay open until 1 or 2am, and many bars in other areas have special extended liquor trading hours to either 1, 2 or 3AM. There has been an increase in small bars and bistro dining in niche areas of the CBD, however these are typically expensive even though good quality, so shop around for a good value evening. Smoking is prohibited inside all pubs and bars. Almost all clubs in Western Australia have very strict ID policies and scanners, so in most venues it is impossible to enter without appropriate ID (either a passport or an Australian issued Proof of Age card or Driver's License). An unfortunate effect of the current mining boom is that the price of accommodation in Perth has skyrocketed in recent years, with average room rates currently higher than those in Sydney, Melbourne or even Rome. Figure on paying over $100 per night for even the most basic room, and over $200 for a 4-star hotel. In general, room rates tend to be most expensive in mid-week, when many business travellers visit, while (relative) bargains can often be found on the weekends. Perth is very popular with backpackers and there are a large number of backpackers' hostels located in the city, particularly in the Northbridge area. Be warned there are a few hostels in Perth that are in terrible condition make sure to see your room or check the ratings online. If you plan to stay for a longer period than one month in Perth you might consider renting an apartment or share room. You can find these accommodations online, for example on Gumtree. Prices range from $120 to $240 per week. Be warned for impostors though and be sure to always read the contract before actually paying the bond. The main dangers that an overseas visitor to Perth faces are sunburn and dehydration. Make sure you cover yourself with SPF 30+ sunscreen and a hat, and preferably a shirt and always keep a bottle of water with you (preferably a litre), especially in the warmer months. Also be wary of dehydration in the hot weather. An insect repellent such as 'Aeroguard' will be useful on summer evenings if you are outdoors. Otherwise, Perth is relatively safe, though its best not to walk alone at night. Some areas such as Northbridge are also known to be 'trouble spots' on weekend nights and tourist should be careful. Perth citizens (as with most Australians) almost never carry firearms or other weaponry, therefore it is logical to avoid people and places whenever such things are observed and advise the local police service when safe to do so. Overall Perth is becoming safer, due to small alleyways and other niche problem zones being refurbished and unsuitable for loiterers. Police are generally friendly and approachable. To contact the emergency services, call 000. For general enquiries and for police assistance when the matter is not urgent, ring 131 444 (international: +61 8 9222 1111). Trains are generally safe, and Transit Officers patrol all train services after 19:00, and also do so routinely throughout the day. All railway stations are fitted with an emergency call facility, usually accompanied by the ticket vending machines (note that the emergency call facility will connect to the Railway Police, and not the Western Australia Police Service). All stations have cameras constantly monitored by the Railway Police. In each carriage of every train, there is a call button near the either of the doors which allows a passenger to communicate with the train driver in an emergency. If it is not safe to use one of these buttons due to their position, any passenger may walk to the next carriage and use the call button there, or ring 9220 9999. From 2011, the Armadale/Thornlie Train line especially in the areas of Burswood and Carlisle has had some high profile assaults from gangs travelling on the train system. The gangs usually comprise of disaffected Indigenous youth and although weapons are not usually involved attacks have become more vicious in their nature. The bus network is generally safe, but after hours can be a little more dangerous than the train network. It is not patrolled by the Railway Police, and bus security patrols are limited. Reports of attacks by people throwing rocks at buses and general antisocial behaviour is not unheard of. The only particular station (& its associated routes) that should be avoided is Mirrabooka. If you have to travel by bus at night, towards the front of the bus. If an incident on the bus occurs, tell the driver. Incidents — including violent attacks — carry on for far too long as they are not reported. The driver should then radio for assistance and will be met by bus security. Pedestrians are advised to exercise caution when crossing the road at zebra crossings, walking along the footpath at the entry/exit points of car parks and driveways, or when crossing the road at T-intersections. Although pedestrians have the legal right of way in all of these situations, many motorists fail to observe this rule. This is usually due to ignorance or inattention rather than vindictiveness, but in any case it is obviously not worth risking life and limb in order to assert your rights as a pedestrian. In the case of zebra crossings, motorists should slow down if they see you are about to cross. If they do not slow down, do not begin to cross. It is usually best to follow the lead of the locals and to move as a group. Driving in Perth can be straightforward as its highways tend to connect at various nodes making navigation easy. However, avoid travelling during business rush hour (between 7-9AM and 4-6PM), particularly in summer or hot days. Many of Perth's major roads were not designed for the volume of traffic currently experienced with recent high population growth. Perth drivers are increasingly known for being inconsiderate to other drivers on the roads during these times, which also has caused increased delays due to accidents. The much wiser solution is to take public transport such as the train or bus system. If you are driving or a passenger in a taxi or a local residents car, it is recommended to relax and not allow it to affect you or your holiday. Most Perth citizens work long hours and wish to get home quickly away from the heat and traffic so therefore their behaviour is not personal and while is often aggressive, is seldom reckless. Travelling outside of these hours and on weekends is typically low hassles. It is likely these problems will increase over the next few years from 2012, as major roads are being upgraded and/or expanded to cope with increased volumes with new infrastructure projects, especially around the Perth Airport district. There are a few rules to take care of while during driving in Western Australia. When stopped at a train crossing, do not proceed until the flashing lights have stopped even if the boom gate has fully lifted as fines are issued. There is a lower tolerance towards speeding so even a small excess over the road limit may warrant in an infringement or fine. It is not mandatory or always observed, however it is polite to keep a gap at an unmarked road crossing when stuck in traffic to allow access for turning vehicles. If you have noticed the lane next to you leave a gap in these places, it is polite do the same. It is always wise to take great care during merging traffic lanes, especially during rush hour (as per above paragraph). Buses do have right of way when entering traffic and occasionally often pull out with little warning. Australians are allowed to overtake on the inside lane, so drivers should be aware of this to avoid any potential alarm. If you are given right of way by another car, it is highly considered rude not to acknowledge this with a raised hand or brief wave. Be wary of using ATMs, fraudulent devices have been added to some across Perth, but the prevalence is no higher than in any major city. ATMs are available outside nearly every bank branch. Recently ATM bombings have been reported more frequently compared to other Australian cities. The most notable incident is the bombing of 4 ATMs at the Harbour Town Shopping complex in West Perth in January 2013. There was no injury as it occurred when the centre was closed, but it did cause severe structural damage to the building. Be wary of using ATMs in secluded places at night or during the early hours of the morning. Margaret River – has some of the world's best wines. Good food and pristine beaches make the South West region a favourite destination. It's about three hours south, making it an ideal weekend get away. Hyden – east of Perth is the closest town to Wave Rock. A granite rock formation that looks like a large breaking wave. Cervantes – north of Perth in the Wheatbelt, features thousands of limestone pillars rising out of the yellow the sand in the Pinnacles Desert. A nearby lake has stromatalites closely related to those found in rocks billions of years old. Rockingham (Western Australia) and Penguin Island, a nature reserve where you can see dolphins, penguins and sea lions.